As a doctor specialising in trauma and orthopaedics I encounter X-Rays virtually everyday in my working career. They are an essential tool in the diagnosis and management of a large proportion of trauma and orthopaedic practice and their constant visual presence was what drew me to the specialty. Few specialties in medicine allow us to “see” a problem or diagnosis with greater ease, clarity and availability than the humble X-Ray first invented over 100 years ago. The most obvious example why X-Rays should be considered art is that they are visual. They are a visual representation of an anatomical structure, disease process, or trauma focusing on the bones within the human body. Unlike a blood test which can possibly tell you a disease process with a number, or a stethoscope where you are reliant on sound to tease out the problem, X-Rays communicate with the viewer visually and its process of production is probably most closely aligned to photography – another great visual art that I thoroughly enjoy! It is often quoted that “Beauty is in the eye of the beholder” and with X-Rays I would argue that holds true. Paintings themselves are considered beautiful but everyone has their own versions of beauty. 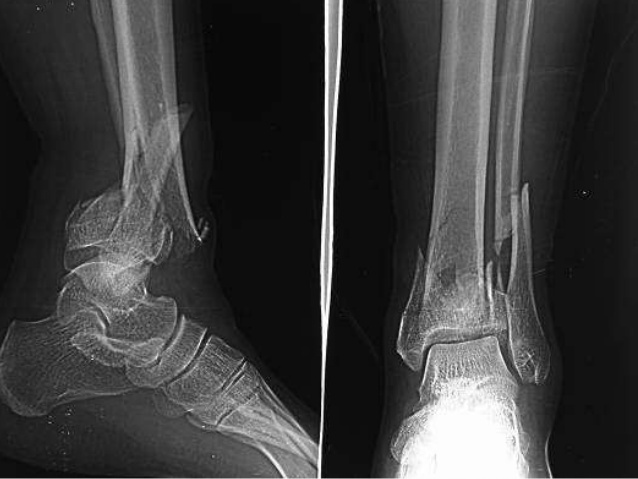 For me, seeing an X-Ray of a fixed ankle next to the same ankle, previously broken is beautiful. Anatomical drawings by Leonardo Da Vinci, c.1510-1511. 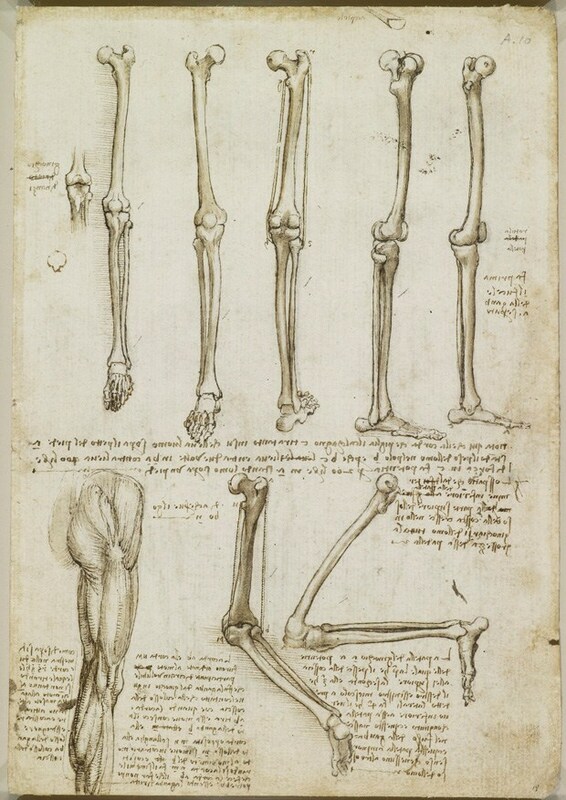 Prior to X-Rays being invented Da Vinci relied on cadavers to draw the anatomy of the human skeleton. In trauma and orthopaedic units across the world, the morning trauma meeting usually at 08:30am brings together the entire trauma and orthopaedic team and the X-Rays are viewed. Here they are scrutinised, analysed, and debated. Substitute the X-Ray for a painting and substitute the surgeons for art historians and you will be struck by the similarities of heated debate. 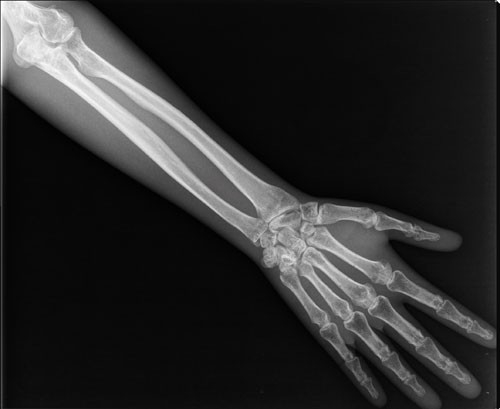 X-Rays are a pure expression of the human figurative form, narrowed down to a specific area. True, they may only make out the bones however often when taking X-Rays the figure has to be manipulated in order to get the X-Ray in the correct orientation. Radiographers – the individual responsible for creating the X-Ray – act like artists, directing the patient like a photographer would direct a model. 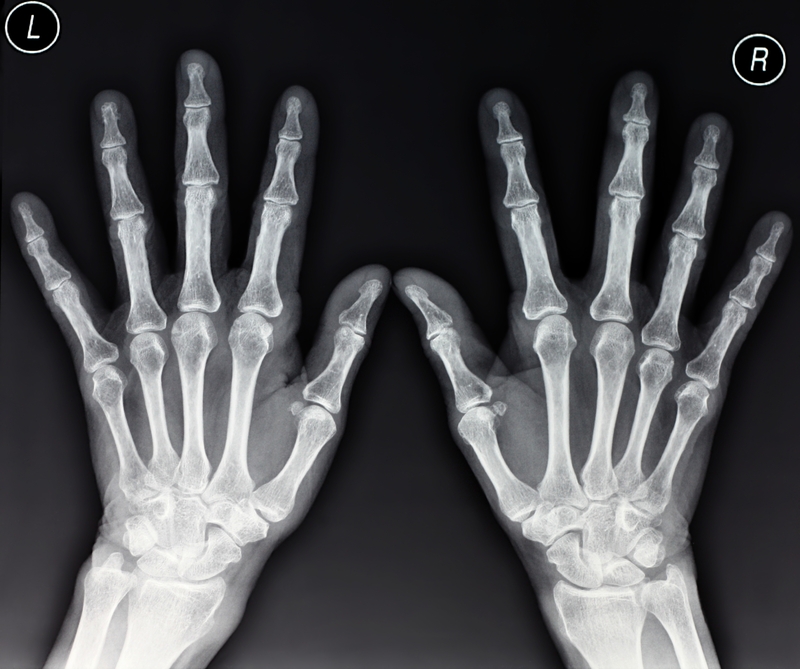 The X-Ray often demonstrates a disease process like arthritis or the end result of an injury. In that lies great emotional power and history. There is a patient behind each X-Ray and a story that goes with it. Whether it’s the 75-year old crippled with arthritic hip pain and struggling to manage, or the 25-year old who just fell off a bike and landed on his wrist. X-Rays demonstrate a story that, at the heart is deeply emotional for the patient. They can also inspire a number of feelings from the viewer: horror, pain, fear, joy just to name a few. Following on from point 3, they can stimulate highly charged debates from the team regarding optimal management and can cause anger, frustration, joy, sadness, shock etc. Art can inspire similar emotional responses. I would argue that the X-Ray fits this criteria quite handsomely. It was human ingenuity and imagination that allowed us to see inside the body without needing to cut it up every time; that an X-Ray is a visual form that can represent beauty and underlying each is story with great emotional power. Subscribe to Bones and Brushes for more updates on my work and articles!